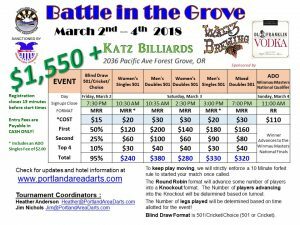 The 6th Annual Battle in the Grove is just a few Days away. This is going to be a fun event for our PADA members as well as our friends from Up North… Washington and Canada as well as Down South… Eugene, Salem and California! We are looking forward to seeing you all there. And don’t forget on Sunday we have the ADO Winmau Master National Qualifier! 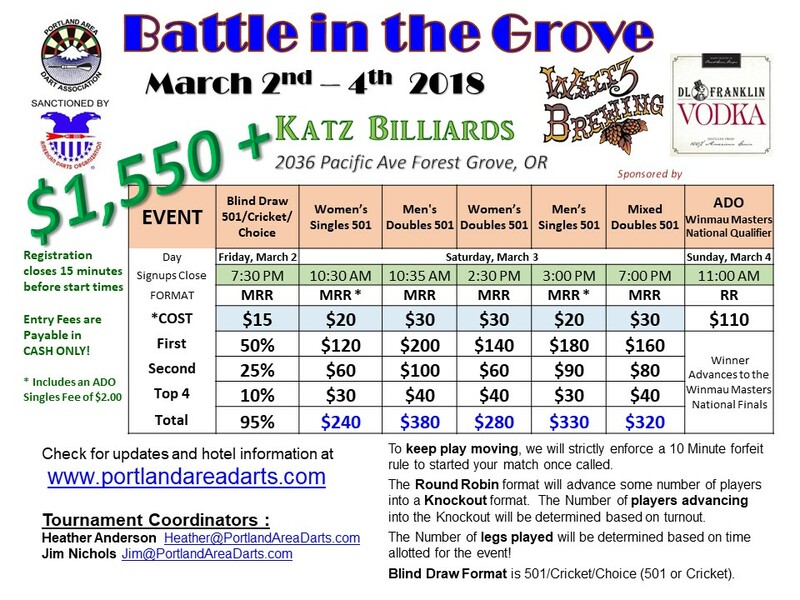 Next story The 49th Oregon Open Flyer is HERE!